10 Truths about DIY that Nobody Talks About - Lovely Etc. I love DIY for so many reasons. When you do it yourself, you can create things exactly the way you want – you get to choose the size, the color, the look, everything. DIY is hands-down the best way to create the home of your dreams on a tight budget. And it also scratches that itch I have to be creative. But the truth is, there are plenty of downsides as well. HGTV and Instagram are full of gorgeous before and afters but they tend to downplay all of the blood, sweat, and tears that comes in the middle. Well, to be fair, there’s always sweat, but only occasionally tears, and rarely blood. But there is pretty much always a ton of hard work that you just don’t see. I really try to make sure that I share DIY tutorials here that are truly helpful and explain ALL of the steps rather than glossing over the tough parts. But even so, I know I’m guilty of not emphasizing how hard or time-consuming DIY projects can be. And I definitely don’t go around posting photos of myself all sweaty and tired in the middle of a project that is going off the rails. Most of the time, I think it’s more helpful to share encouragement. Because even when things are hard or take longer than you hoped, if you just keep going, 99% of the time it works out in the end and I think a lot of us need encouragement that we truly can do it. But sometimes, instead, I think we need to know that we aren’t the only one whose projects don’t always turn out the way we envisioned. That others also question their sanity in the middle of a long project and almost every DIY project has a messy middle. 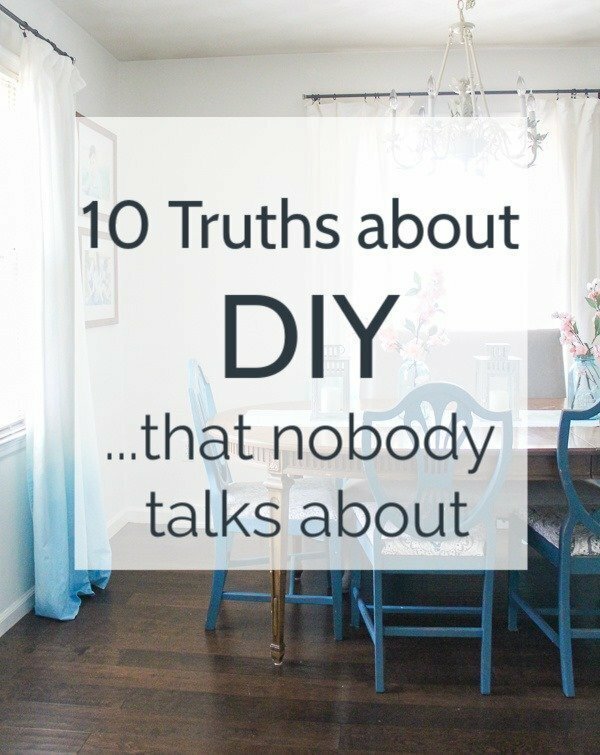 So today I’m pulling back the curtains and sharing a few truths about DIY that nobody really talks about. The irony is that I am constantly doing DIY and renovation projects to make my house look the way I want. And yet my house is always a mess of half-finished DIY projects, and so it doesn’t really look the way I want. Sometimes I could care less. For every messy room full of tools and DIY debris, there are plenty of other rooms that are looking fabulous. Other times, I cannot take it another minute and I start to go round in my head about why I am even doing all of this. Thankfully my husband doesn’t really care – in fact he told me just the other day that he thinks it’s cute how I leave a trail of tools wherever I go. I realize that I could put away all of my tools and materials every time I take a break from working on a project. But that’s not how I work. So there is pretty much always at least one half-finished project somewhere in our house. 2. Sometimes DIY saves a LOT of money. One of the reasons I love DIY is you can create gorgeous stuff for cheap. And you really can save a TON of money. I saved at least $500 by tiling my own shower and my painted subfloor only cost around 75 cents per square foot. 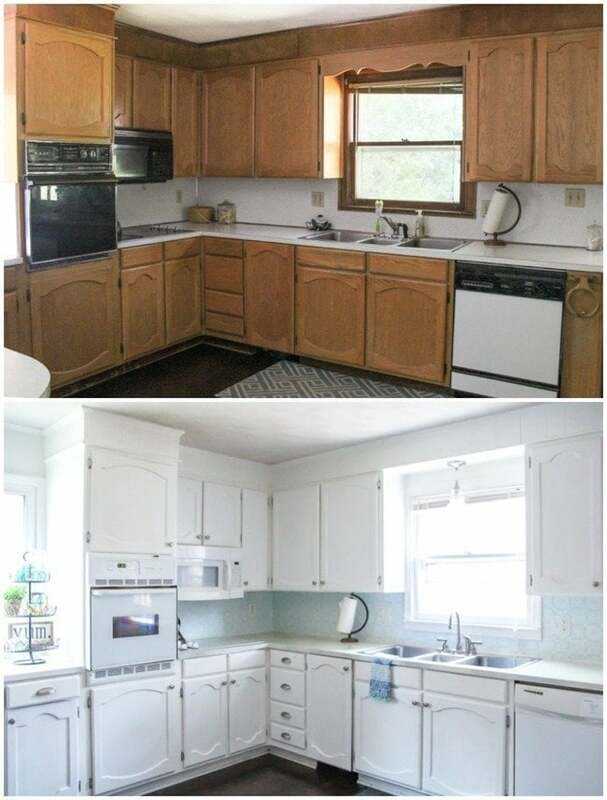 And while I wouldn’t claim to have my dream kitchen, I was able to completely change the look of it by painting the cabinets, countertops, and backsplash, adding hardware, replacing the rusty faucet, and replacing the terribly outdated appliances with slightly less outdated appliances for less than $700. Considering the average kitchen renovation costs $20,000, I consider that a slam dunk. 3. Sometimes DIY really doesn’t save any money at all. 4. Some projects really just don’t work out. I have had some really great project ideas that were amazing in my head but just did not work out the way I had hoped in reality. Sometimes I can’t find the materials I need or I can find everything I need but the cost is way over my budget. And sometimes I do the entire project but it just doesn’t turn out the way I imagined. It’s too messy or too cheap looking or I’ve made something for a specific space in my home and it looks terrible there. 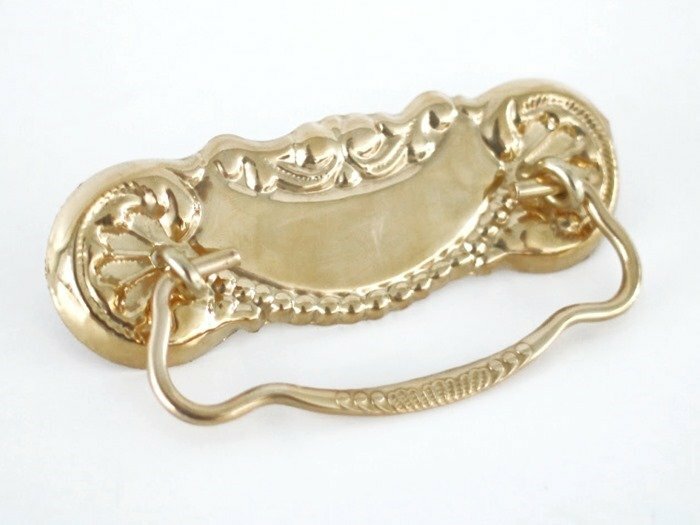 I had a pretty crazy DIY fail just a few weeks ago, when I tried to darken a new shiny brass handle to match the antique ones on my chippy farmhouse dresser. I found instructions online to use vinegar and salt to create a chemical reaction and perfectly darken the brass. Except I may not have followed the directions completely correctly because my hardware didn’t darken – it turned to copper! Apparently brass is an alloy of copper and zinc and I managed to strip all of the zinc. Yikes – this was definitely not what I was going for! 5. Most projects seem like a complete failure at some point. During 90% of DIY projects, there is a point in the middle when the whole thing seems like a huge mistake. Everything is taking three times as long as expected or the first coat of paint looks like a disaster or I suddenly realize I may be in over my head. That is totally normal. DIY almost always involves a messy middle – that’s why so many shows on TV basically show the before and then skip to the end. Nobody really wants to see the huge mess that is the middle. You can pretty much count on the fact that things will go wrong. The important thing is to just keep working. If everything seems like a total disaster, that just means you aren’t finished yet. Add more paint or try a different method until you get a result you like. There is almost always a way to salvage it. 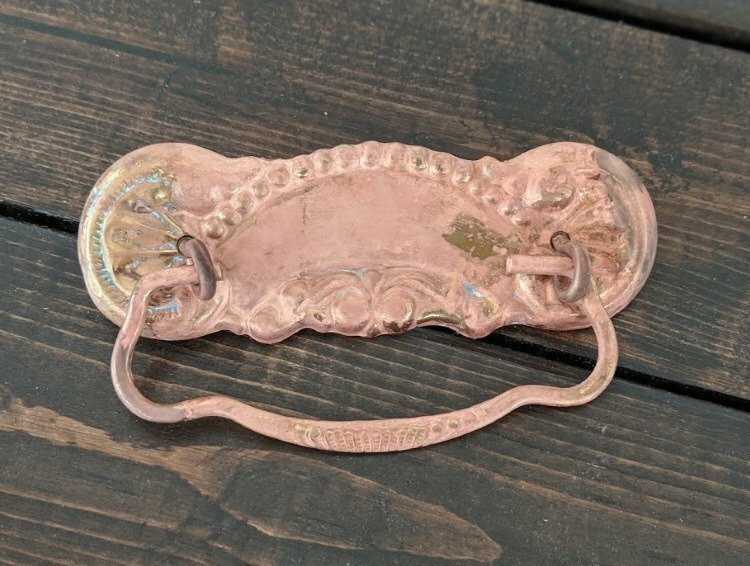 After I accidentally turned my shiny brass hardware a pinkish copper, I changed tactics and used craft paint to make it match the rest of the aged brass hardware. And it turned out great, despite the disaster it seemed to be in the middle. 6. It can take a very long time to do a simple project. 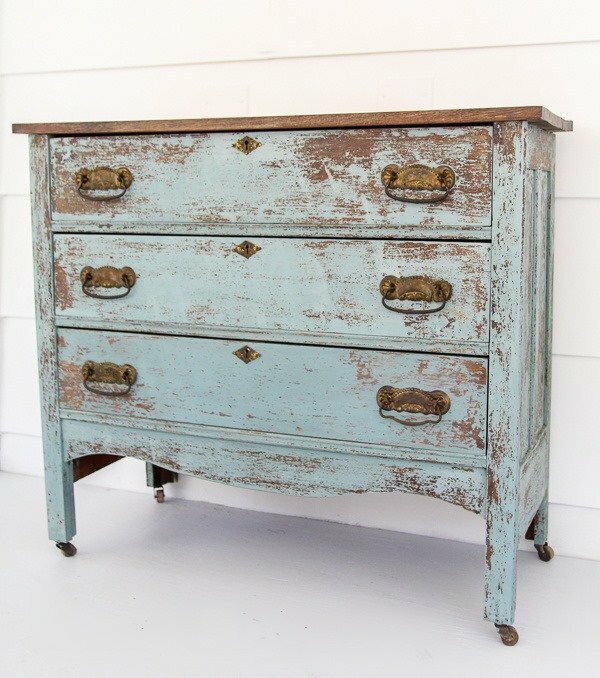 Every single time I paint a piece of furniture I choose a paint color and plan to finish it up before dinner. And that literally never happens. While painting might be fast, I always forget I need to clean the furniture first and possibly make repairs and wait for coats of paint to dry and protect everything with a topcoat. It unfailingly takes at least three times as long as I imagined even though I have literally painted dozens of pieces of furniture before and this happens every. single. time. 7. And it can take even longer to do a whole house. I know on HGTV, they can basically rebuild an entire house from the ground up in a week, but that isn’t reality even when you have a contractor taking care of everything. And it definitely isn’t true when you are doing it on your own. The time to do each project can really add up and chances are very high that working on your house isn’t the only thing you have going on. When you also have a job or kids or aging parents or friends you actually like to see occasionally, there just isn’t that much time left on a given day to knock out that to-do list. Sometimes other home bloggers talk about how they are branching out into other areas because their house is ‘finished.’ Sadly, that will never be me. I have plenty of projects around here to last for years and years to come. So yay! I guess? 8. DIY and decorating are truly entirely different things. Several years ago, I had a booth at a local antique store where I sold super cute furniture and decor that I either made or upcycled. At that point I was taking lots of risks in DIY, learning new techniques left and right, and cranking out some really beautiful stuff. But my own house was a hot mess. I had cute stuff I had made (mixed in with plenty of not cute stuff) but I had absolutely no idea how to put it together. It turns out just putting a pile of pretty stuff put together in a room doesn’t usually make a very pretty room. It has taken me years to learn how to actually decorate – how to arrange furniture, how to style accessories, how to group art so it looks purposeful, how to mix old and new in a beautiful, eclectic way rather than an odd, flea market way. I’ve shared a little about this on the blog, but I’ve really only started to get confident in my decorating in the past year. I’m hoping to share lots more tips and resources about all of this in the coming year. 9. DIY is not for everyone. I believe that everyone can DIY. OK maybe not every single person but at least 95% of people are capable of DIYing. But that certainly doesn’t mean that everyone should or even wants to. DIY takes a lot of time and if it isn’t something you enjoy, that means spending a ton of your life slaving away at something you hate. Sometimes the DIY route is necessary when you just don’t have the cash to pay someone else to do it, but most of the time we don’t have to update our homes, we simply choose to. If you truly hate DIY, it’s okay to not fix up your home. Seriously. Unless it’s a safety hazard, you don’t have to update things and make them beautiful. It’s also quite possible you just aren’t good at DIY. Most DIY isn’t particularly difficult but it does require attention to detail, persistence, and hard work. If those aren’t your strengths, it may just not be your thing. No judgment. My husband isn’t into DIY in the least. In theory he would like to be more handy, but in practice there are about 100 other things he would rather do on a given day. And that’s totally fine. Since I am pretty handy and truly like DIY, I just take over that stuff. 10. DIY can be scary. When you are trying new things in your own home, it’s scary! You can’t know for sure how it will turn out so it’s risky. When I ripped up our old carpet without having the money to replace it, it was a huge risk. Luckily my painted floor dreams worked out, but if they hadn’t? We would have been stuck with ugly plywood floors for the foreseeable future. And yes, I would have felt pretty dumb. But I couldn’t stand our stained carpet another day, so I went for it. Not only that, using power tools for the first time is a whole different kind of scary! I didn’t really have anybody handy around to show me what to do, so I was totally winging it, relying on what I could learn from google and the instruction manuals that came with my tools. 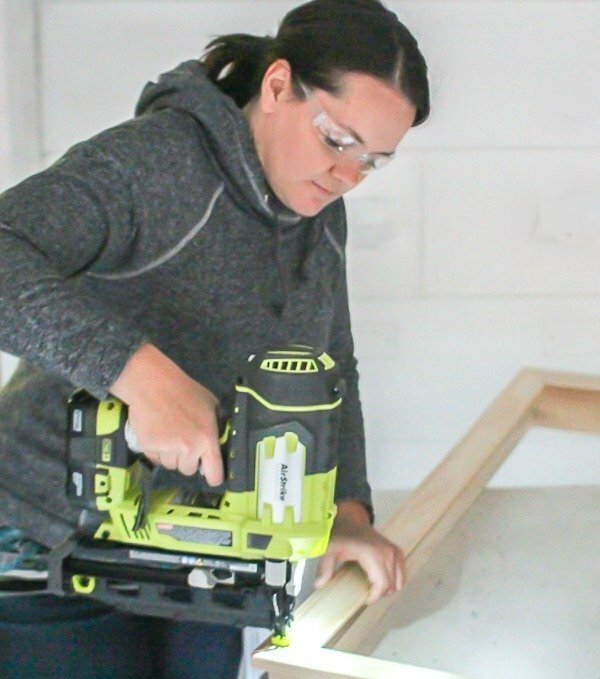 I started with a jigsaw which wasn’t quite as intimidating as other power saws with it’s itty-bitty blade, but when we needed to use the table saw or the circular saw, I chickened out. I made my husband do it the first few times even though he had no idea what he was doing either. My husband is wonderful and incredibly supportive, but as I said, he isn’t handy and he isn’t exactly a details guy, so asking him to take on my ‘dirty work’ was a terrible solution. Finally I got brave, read up on safety, and made a few practice cuts. Once I had done it a few times, it wasn’t nearly as scary as I had imagined. And despite all of that, I still love to DIY. I love to challenge myself to come up with new ways to use old junk or figure out a way to update something in my home for super cheap. It definitely isn’t always easy, but for me at least, it’s worth it. All 10 points are true ( Thank you for posting them – it’s good to know that I am not alone). But I have learned that if I do my research, make a plan and buy/rent/borrow the correct tools, I have a much greater chance for success. Don’t wing anything. I DIY because I can save money, but there is also a great sense of pride that comes when you do it yourself. Yes, so true – a little research and the right tools makes a huge difference! Thanks Carrie, this the most honest thing I’ve read about DIY! It seems as it some articles try to make it seem so easy that you feel like an idiot if you fail. It CAN be expensive especially if your just starting and haven’t acquired many tools or “spare parts.”But when you have a specific idea, size, or color in mind and can’t afford custom, it can be rewarding (and/or frustrating). I especially love the pictures I’ve seen posted. One side is the picture from Pinterest, the other from someone’s lacking effort. Anyway, thanks for keeping it real. Thank you Anne! I love DIY but it definitely isn’t always easy and I know it can be discouraging when it seems like it’s a snap for everyone else. And I love the Pinterest fail photos too – they crack me up. I STILL LOVE DIY PROJECTS. I HAVE THE JUST CAN’T HELP IT. I TRIED TO STOP DON’T WORK KEEP COMING BACK TO DIY. YOU NOT ALONE,,,, Velma !!!!!! Yes, we definitely have that in common Velma! You are sooo right, DIY can get messy, more expencive then expected, yes, there is a tear or two. I do not DIY everything around my house, just stuff I know I am capable of. I hire professionals for some seroius build. But, the feeling when I get my project done and when it looks like exactly what I was hoping for – priceless! You are so right – that is the best feeling. And it definitely transfers to other parts of life too. When I think about DIY projects I have conquered, I feel like I can also tackle other stuff like potty-training my kids or losing weight. Hi thank you for the very interesting article I think your kitchen is gorgeous the way you did it and I agree with everything you wrote. please keep on sending these kinds of Articles and videos of DIY. After trying my hand on most building/decorating tasks, I realized that I am a perfectionists and it is very difficult to find a contractor, who would pay the same attention to detail as myself. So this is another reason to DIY. Unfortunately, with a full-time job I can’t spend as much time DIY-ing, as I would like, but when it is possible, I really enjoy it. This is such a good point Val. We’ve only hired a contractor a few times but there were definitely some finishing details that I wish I had just done myself to my own standards!